Apple is all set to come up with its iPhone 8 which is expected to have more options for the users. 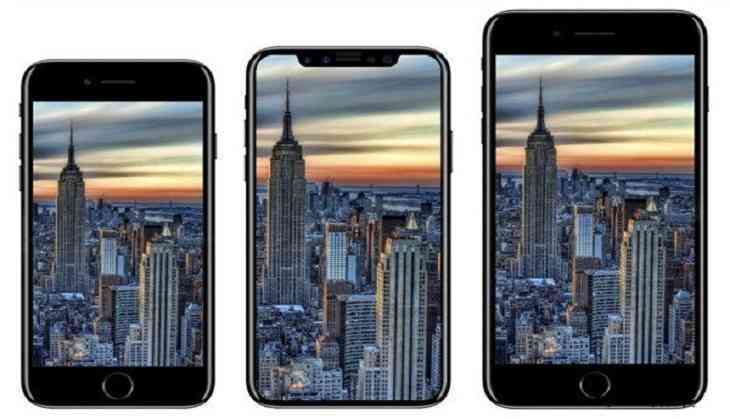 The iPhone launch event this time will be the company's biggest smartphone launch ever which will be held on September 12. Not only 'iPhone8' but the company is also expected to launch other devices such as Apple watch, Apply TV and Apple Airpods. Steve Jobs announced the original iPhone on 9 January 2007 and therefore the year 2017 marks the tenth anniversary of the phone. It is believed that Apple will unleash some great features in this year's model. If you are still in confusion about the phone, check out the points which will definitely clear all your doubts. 1. An invitation for the grand event on September 12 has been sent by Apple. The event is set to happen at its newly built headquarters in Cupertino, California. The tagline of the invitation says, "Let's meet at our place" and also portrays a colourful picture of the Apple logo. 2. There are rumors that Apple will be working on three versions of its next iPhone, which will include a 4.7-inch iPhone 7s, a 5.5-inch iPhone 7s Plus and a 5.8-inch iPhone 8. 3. The new iPhone will be an upgraded version in terms of display technology. The screen area would be bigger, however the phone itself could be smaller than the phone 7s Plus. 4. If the reports are to be believed, the iPhone 8 will be the most expensive and will be the first model to cost more than $1,000.